Questions? Problems reserving a pass? Call the Information Desk at 860-628-0947 x5 for assistance. The Southington Public Library offers discount passes for various local museums and cultural institutions to patrons with a valid Southington library card (or residents of other towns who have previously registered at the Southington Public Library) on a first-come, first-served basis. In order to make your own reservation, you must be able to print the completed pass at the time the reservation is made. You will have one chance to print the pass. If you make a mistake or fail to print out your pass, please call the Information Desk at 860-628-0947 x5 for assistance. If you lack the ability to print out your pass, you can make a reservation in person at the library. Passes may be reserved and printed up to 30 days in advance of your visit. Passes are valid one time and only for the specific date reserved. You may reserve passes for any day that the museum is open even if the library is closed. Passes may be reserved up to 30 days in advance.There is a limit of one pass per day per family with a maximum of four unique pass reservations in any 30 day period. Passes for the CT State Parks, Beardsley Zoo, and the Mystic Aquarium cannot be pre-printed. They are checked out to your library card and must be returned to the library. These passes may be reserved on Mondays, Wednesdays, or Fridays. They will be available for pick up after noon on the day you have reserved it for and are loaned to you for 48 hours. They must be returned by noon on the day due. Late fees are $25 per day. This pass admits up to 2 adults and 2 children to the Barnes Museum for free. Please visit the museum's website for hours and events calendar. This pass allows one free touring admission with every paid admission to a maximum of four free admissions per pass per day. Please note this discount may not be applied for admission during special event or fee based programs outside the general touring admissions hours. Please check their websites for hours. 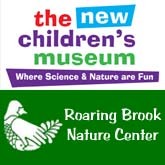 Discount applies to The Children's Museum in West Hartford as well as its Roaring Brook Nature Center site in Canton. This pass admits two guests for a tour of the Harriet Beecher Stowe Center. Connect the past to the present in a facilitated group tour through Stowe’s home about 19th-century social issues, such as slavery and the role of women, that resonate today. 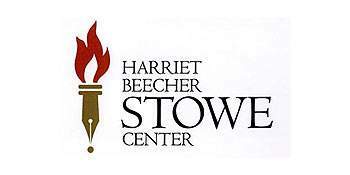 Please visit HarrietBeecherStoweCenter.org for detailed information, including hours of operation and event calendar. Admits 1 adult and 2 children under age 18. Not valid for special programs and events. Please visit the Hill-Stead's website for operating hours and event calendar. This pass admits up to 6 guests to the Imagine Nation for half price during regular hours. Not valid for special events. Please check Imagine Nation's website prior to your visit for operating hours and event calendar. With this pass, you may buy one game of open bowling and get one free or buy one round of indoor mini golf and get one free (good for up to 4 people). 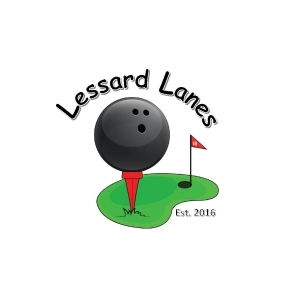 Please visit Lessard Lanes' website for hours. Two complimentary child admissions with the purchase of one adult admission but not a combination of the two. Please also note that this pass can be used once per visit and grants the visitor one discount per visit. Please visit the museums website for operating hours and event calendar. Each pass admits 4 adults for free (children under 16 are always free) to the Mattatuck. Not valid for special programs and events. Please visit the museum's website for hours and events calendar. Each pass admits 4 adults for free (children under 16 are always free) to the Mattatuck Museum. Not valid for special programs and events. Please visit the museum's website for hours and events calendar. Admits 4 general admission visitors. Children under age 16 must be accompanied by an adult. Pass may not be used for docent-led tours. Please visit the NBMAA's website for operating hours and event calendar. Each pass admits up to 4 people for free. The museum is open for free to the public 1-4 pm on the first Sunday of every month. Therefore, no pass is necessary on those days. Please visit the museum's website for hours and events calendar. $6 off up to 4 admission. Admission applies to museum galleries only. Special exhibitions, events and programs may require a fee. Admission is free on Thursdays, 2-5pm (September through June only). Please visit the Peabody's website for further details. Free general museum admission for 2 adults, age 18 and up. Free for ages 17 and younger. Buy 1 get 1 free film admission. Not valid for Art After Dark, group tours or with other discounts. Additional fees apply during Fine Art & Flowers, Festival of Trees & Traditions, and some special exhibitions. Please visit the Wadsworth's website for further details. This pass is a tear-off coupon that must be picked up at the Information Desk. It cannot be reserved and does not need to be returned to the library. 20% off general admission for up to 4 people. Children 15 and younger must be accompanied by an adult.